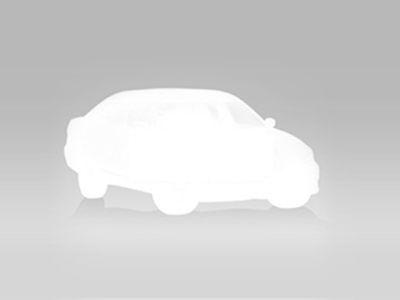 When a new relevant car is added to our site, we will email you! That was the nicest car buying experience I've ever had. They bent over backwards to help me. I don't have any complaints at all. Thanks Doug! This is my fourth Escape. I cannot say enough about the reliability, safety features, and the ease of learning it’s technology aspects. The Escape has safely gotten me through many Maine winters. I have been going to this dealership for over a year now and have had good and bad experiences. One thing I can say is that is something goes wrong like they will work hard to fix it and make things right. I would recommend this dealership to anyone. Like any dealership you will have good and bad but I think they appreciate the business and work hard to show you that. It was nice to get beyond the dickering that one is always subjected to from car salespeople. Buying from the comfort of home was nice. Very impressed so far. Finally drove on some bad roads and the 4wd is really good. Engine has lots of power. Overall car drives very nice. It is the Titanium model which has a lot of features! staff was very helpful, timely upon responding to email. made a good effort to accommodate my needs but the Toyota tundra I was looking at had a few to many miles for my taste. Very easy car to drive. Some newer cars today have a boxed in feeling. This car feels very roomy and open. Large windows to see out of. I wanted a Ford because I drive an Explorer for work. I bought the Escape thinking it would handle as well and be as smooth. Instead, the engine is loud when accelerating and the fuel efficiency is poor. I'm filling up every 3 days just to commute to work. I was completely disappointed in my purchase. All around great service. Friendly and honest service. Comster service was always available. I recieved my vehicle within four days after the completed process, of paper work. I was looking to purchase a used vehicle but after test driving the Escape, I decided to get it. The main reason was the gas savings for me and the nice color. * Title, other fees, and incentives are not included in this calculation, which is an estimate only. Monthly payment estimates are for illustrative purposes only and do not represent a financing offer from the seller. Other taxes may apply. The information on vehicles provided in this service is supplied by the seller or other third parties; Cars.com is not responsible for the accuracy of such information. Cars.com provides this service and materials without representations or warranties of any kind, either expressed or implied. See our terms of service for more details. Include vehicles outside of my search radius that can be delivered to my home. © 2019 Cars.com All rights reserved.